It’s natural to have some reservations about hypnotherapy – so I have answered some of the most common ones here. If there is something else you want reassurance on – leave a comment at the bottom and I will do my best! Will I do something stupid? Hypnosis isn’t all about swinging watches and dancing like a chicken! Whenever something grabs your attention, or you watch TV, read, or go on a journey you could easily go into a trance. Your attention is focussed on something, whilst you are unaware of everything else that your subconscious is taking in. Clinical hypnosis is used to actually wake you from your existing trances, before directing your mind in a way that you want for a change. It has nothing to do with sleep, or being unconscious. You can’t be made to do anything against your will under hypnosis – as you subconscious mind is always ‘on guard’. Is hypnosis a loss of control? How much control do you really think you have? If you choose to explore hypnotherapy, it is probably because you can’t control something. A feeling, habit, behaviour or attitude. The illusion of control is what causes people to go so far before realising they aren’t where they want to be. Being able to give up the illusion of control is in itself one of the greatest examples of being in control. Just as having a good memory requires the ability to forget (before you head explodes with information) having control requires the ability to let it go. Having said that, I will mention again that in hypnotherapy you don’t lose control. You actually get more control than normal, because you become more aware of your psychology and how to change it. Everyone responds to stimuli – if you didn’t, you wouldn’t be able to learn, associate, or function as a human being. It’s not so much a question of ‘can you be hypnotised’ but ‘how responsive are you’ to suggestion, and hypnotic stimuli. People vary, depending on their motive, the practitioner, the rapport between client and practitioner, other distractions etc. You will also find that over time you can develop a greater degree of responsiveness, because you feel more comfortable and confident about the various procedures. It doesn’t mean you’re naive, gullible, or even suggestible. It just means you respond well in that particular context. It’s actually a terrific thing – it means that you can make the most out of hypnotherapy! You will be able to program your mind far more quickly and powerfully than less responsive people. Highly responsive people can be trained for all sorts of amazing psychological feats. It depends. I use the term hypnosis to mean being suggested to subconsciously, in a way that affects your psychology. Not all hypnosis is intended, and not all effects are positive. On most other sites you will read ‘of course hypnosis is not dangerous, it is perfectly safe’ etc. But the natural process of hypnosis is the reason why people develop phobias, addictions>, habits and anxieties in the first place. Parents, teachers, media and ordinary experience all do a good job of hypnotising people (without realising it) into thinking, behaving or feeling through patterns of learning and association. This happens more in infancy, as we have to learn the ways of the world pretty fast and are highly suggestible. A lot of personal limitations are learned one way or another. And no one would choose to learn something that limits them, so something has happened beyond conscious control. Long term, repetitive suggestions of a negative nature can easily affect psychology. Negative colleagues illustrate this point well! Hypnotherapy is safe, as long as you have an ethical, certified and professional hypnotherapist. Although a potentially powerful process, it is used in a knowing, directed manner by a professional who is trained to help you. As a client you are always aware of proceedings and would never be made to do something against your wishes. It may feel a little like sleep, or occasionally even like dreaming, but that’s about it. It isn’t anything like sleep, in terms of states or brain activity. You can learn more about sleep here. Don’t forget that manipulation is defined as the careful dextrous handling of something. You manipulate your mouse and keyboard, you manipulate your phone when calling someone. A doctor manipulates tools to operate. Manipulation applied to people suggests that the person being manipulated doesn’t want to be. Whatever term you wish to describe hypnotherapy, the results are purely client driven, and revolve around the client’s wishes for change and improvement. The section on how your mind works should illustrate as gently as possible how hypnosis works. Although it isn’t common knowledge, it has a hard time being embraced by people because it is relatively complicated and has implications on why we are who we are. More and more doctors and the scientific community are beginning to support hypnosis and hypnotherapy. 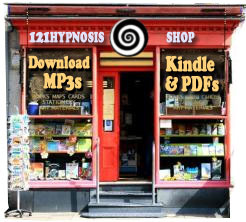 Hypnosis is a very real science of influence and suggestion. Some choose to believe that hypnosis is related to spiritual possession or witchcraft. I don’t mind what anyone believes (as long as it doesn’t hurt anyone else), but I do think that such beliefs would limit an open mind to the opposite. In fact, they tend to actually filter information that is to the contrary. This is a good example of how beliefs can be limiting. It stands for Neuro-Linguistic Programming. It is a powerful philosophy of psychology, nurturing a curious, playful attitude to all the mental processes that lie behind simple attitudes, behaviours, feelings and perceptions. It has allowed the development of some useful tools and models that contribute to the flexibility of a hypnotherapist. Since it’s invention (or discovery) in the seventies, it has rapidly developed into a huge business enterprise. Unfortunately more people seem to throw the jargon about than actually make use of it. There is more information about NLP here.